Are you looking for a diet to improve your overall health and wellness? 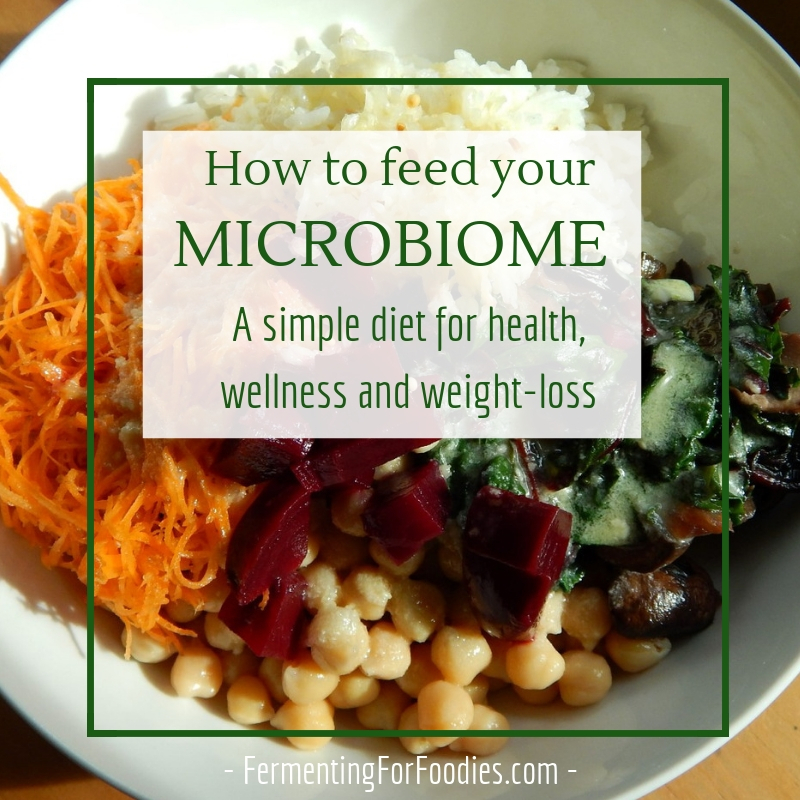 Then why not try Fermenting For Foodies’ simple microbiome diet? It’s easy to follow and is designed to promote good health by feeding the flora in your digestive system. This simple microbiome diet doesn’t have to replace your current diet. Whether you are paleo or vegan, the simple microbiome diet is a way of making sure that you are feeding the flora in your digestive system so that you can have good digestion, immunity and wellness. Well… this is a very large topic…. however, I will start out with defining a microbiome. A Microbiome is the millions of bacteria, fungus, viruses, etc. that live in our bodies. Our bodies are a micro “tiny” biome “home”. Our microbiome covers all the surfaces of our body: our skin, lungs, digestive system… In fact, human cells make up less than half of the cells in our bodies. It is your first line of defense against infections, and supports healthy immune system functioning. It helps you digest your food properly by helping you break down foods and absorb vitamins. Our microbiome protects our skin from sun damage. Our mood, stress levels and quality of sleep are all affected by the health of our microbiome. What you like to eat is actually affected by the makeup of your microbiome. Eat something probiotic every day. 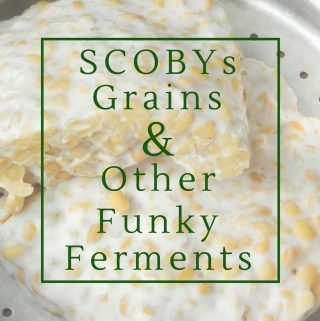 There are a ton of recipes on Fermenting For Foodies for fermented foods and meals that feature probiotic foods. 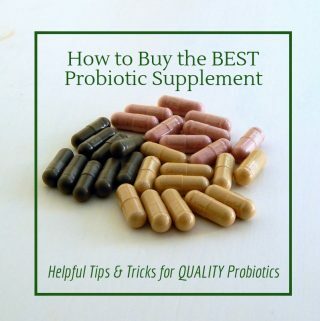 However, I realize this isn’t always easy, so here’s an article on some easy probiotic options. 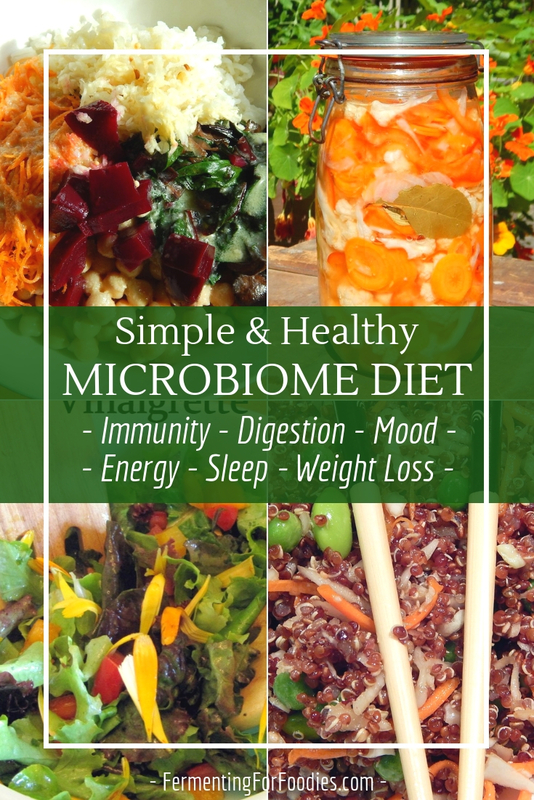 Feed your microbiome. A healthy microbiome needs a diet of fiber and resistant starches. So feed your microbiome whole grains, nuts, beans and lentils, fresh fruits and vegetables. Avoid sugars: If you have a sweet tooth, it’s probably because you have some sugar-loving yeasts and bacteria living in your microbiome. Try to limit or avoid all types of sweeteners, except maybe stevia. Even some low-glycemic sweeteners will feed your sugar-loving flora. So no sugar, honey, maple syrup, coconut sugar, xylitol. Even fruit juice is low in fiber high on sugar, so grab a piece of fresh fruit instead. You might also want to consider whether your drinking water might be affecting your microbiome. if you’re looking for a larger dietary overhaul. Share your struggles and successes on our facebook page or in the comment section below! 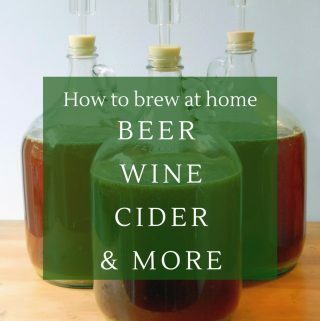 I never thought someone could make me interested in fermentating but your website has done so. 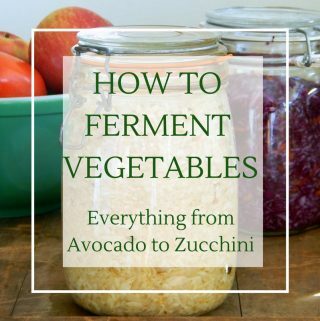 I look forward to starting fermenting vegetables. Some of your recipes sound delicious. My question though is; Doesn’t cooking/steaming food destroy the probiotics? If you can clear this up for me I would be grateful? Be as scientific as you wish. Wow! What a compliment, Thank you!